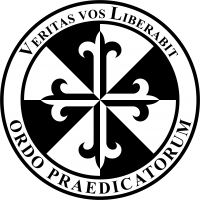 “Veritas vos Liberabit” (The truth shall make you free). Motto of the Special Security Detachment of the Order of Preachers. It is said that the Dominicans are known as the Hounds of the Lord because of a play on words with their Latin name ("Domini canis"). However, the real reason for this name is due to the ferocity with which they have developed their work as watchdogs of the Church, first during the Inquisition and now as a special security detachment. 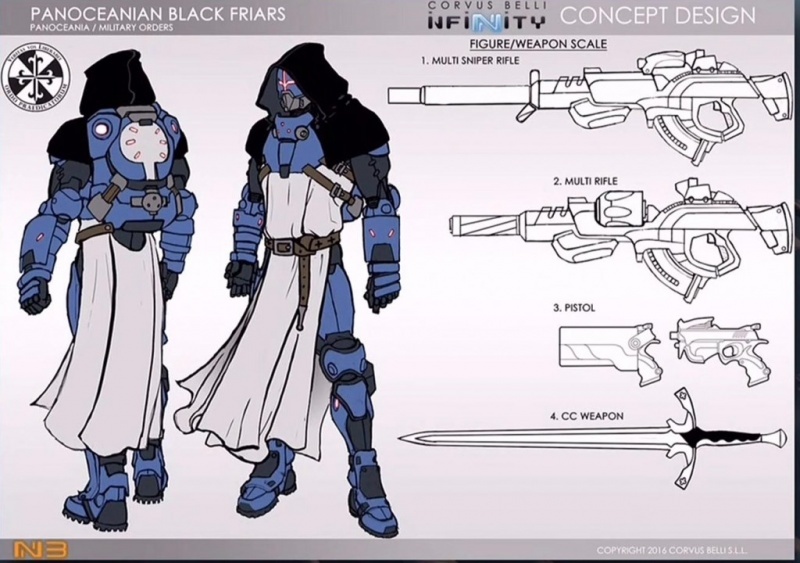 The Black Friars, a name derived as much from their clothing as from their grim reputation, they are the twilight guardians of PanOceania. Their designated mission is to provide security against any possible infiltration by undercover agents or enemy powers like the Shasvastii alien threat. As servants of God and PanOceania, Dominicans are the thin black line that separates Good from the Evil, peace from chaos. This responsibility and the constant threat of the enemies of their Religion and their nation is what defines them and keeps them centered on their mission. Conscious of their task and mission, the Black Friars do not waver in their commitment to keeping PanOceania safe with the utmost ferocity, as is befitting of the Hounds of the Lord.